Lehigh Valley is full of history, cultural events, and 55+ communities. For many active adults, retiring is all about sticking to a routine. Winters in Florida or Arizona, and summers at the beach are definitely pleasant ways to pass the time. Though these are appealing lifestyles, there are other choices out there as well. People who enjoy exploring their surroundings, small-town ambience and communing with nature might very well look to Pennsylvania’s Lehigh Valley as a retirement option. There are many affordable active adult communities here that are worth looking into. Imagine an area that is part historical treasure and part rolling countryside, with dozens of interesting small towns, mountains for skiing, lakes and rivers, and cultural attractions. This region also has an appealing mix of pristine farmlands, covered bridges, excellent health care, and quaint, mid-sized cities. Lehigh Valley hosts many year-round events, like the Greater Lehigh Valley Auto Show, Vino in the Valley, a Roaring 1920s Ball in Bethlehem, food and music festivals, the Schecksville Fair in June, and Koziar’s Christmas Village. Weather averages in the Lehigh Valley range from 20 to 36 degrees at their coldest, and 64 to 85 degrees in July and August, so residents get to enjoy all four seasons. The region also boasts a lower-than-average cost of living, and low income tax rates (a flat 3.07 percent). In addition, IRAs, 401Ks, social security, and pension retirement income is not taxable in Pennsylvania, making the entire state retirement-friendly for 55+ adults. Its three main urban areas are Allentown, Bethlehem, and Easton. All three are well-known for their historical charm, vibrant cultural scenes, and local dining destinations. 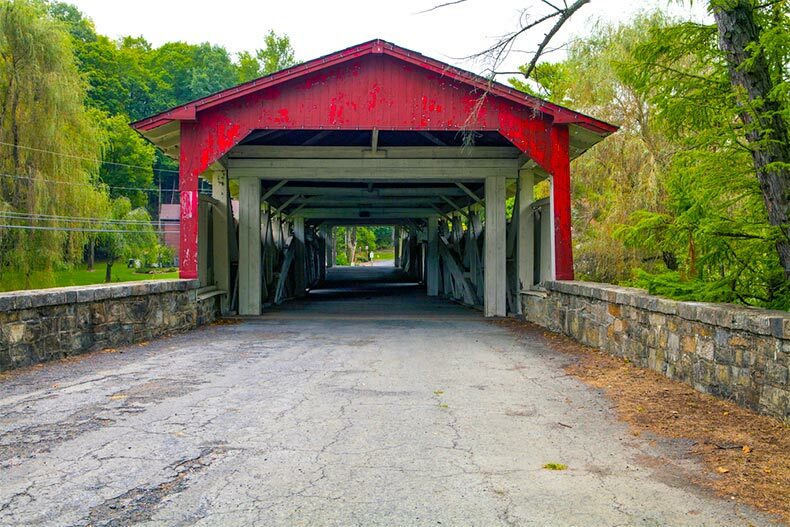 Allentown has over a dozen landmarks that are in the National Register of Historic Places, like the Bogert Covered Bridge and the Old Leigh County Courthouse. Locals and visitors also flock to the Allentown Farmers Market, located at the Allentown Fairgrounds. The Lehigh Valley Grand Prix is also here, along with the Miller Symphony Hall, Dorney Park, and Wildwater Kingdom. Originally a steel town, Bethlehem now hosts a wonderful combination of the old and new. Its refurbished Colonial Industrial Quarter dates back to the 1700s, and the Hoover Mason Trestle is a walkway that offers visitors exciting views of historic blast furnaces and industrial areas. For a totally different experience, the Sands Casino Bethlehem will really get the blood flowing. And during the holidays, Bethlehem is called “Christmas City.” It is one of the most popular destinations on the east coast at this time of year. Easton’s history dates back to the Revolutionary War, and this town has many attractions worth visiting. It is also home to the Crayola Experience and the Nurture Nature Center, both fun family centers for kids of all ages. Easton also has the Karl Stirner Arts Trail, a walking and biking trail that features artwork, plus a farmers market, and the Weyerbacher Brewery. Colonial history abounds in Lehigh Valley. Red Hill Estates is a well-established community of 260 single family homes is poised about 20 minutes from Allentown and Bethlehem. The town’s eastern border butts up to Green Lane Reservoir and its surrounding park, and the downtown area has food stores, banks, and government offices. Golfers can drive to nearby Macoby Run Golf Course in less than five minutes. There are two ranch-style floor plans sized from 1,000 to 1,800 square feet, with two or three bedrooms, two bathrooms, and either a one-car garage or carport. Upgrades may include eat-in kitchens, gas fireplaces, master suites, decks, and patios. An association fee provides for sidewalk repairs, street lights, and exterior home maintenance. In addition to a clubhouse, Red Hill’s property features pristine natural space, plus walking & biking trails. The Village at Upstream Farm is one of the most reasonably priced, gated 55+ neighborhoods in all of Pennsylvania It is minutes from the Bushkill Creek and Penn’s Ridge Park, and less than five miles from historic Nazareth, PA. The Lehigh Valley International Airport is also only 17 miles away. There are three models, sized from 991 to 1,180 square feet of living space, with one or more bedrooms, one or one-and-a-half bathrooms, and attached one-car garages. Some models include dens, patios, or porches. A homeowners’ association fee covers snow removal, and lawn care. There is a private clubhouse with its own exercise room, plus other activity rooms. This intimate, 55+ community of 63 new and resale homes offers excellent value for new and almost-new home construction. It is just 20 minutes away from downtown Allentown. 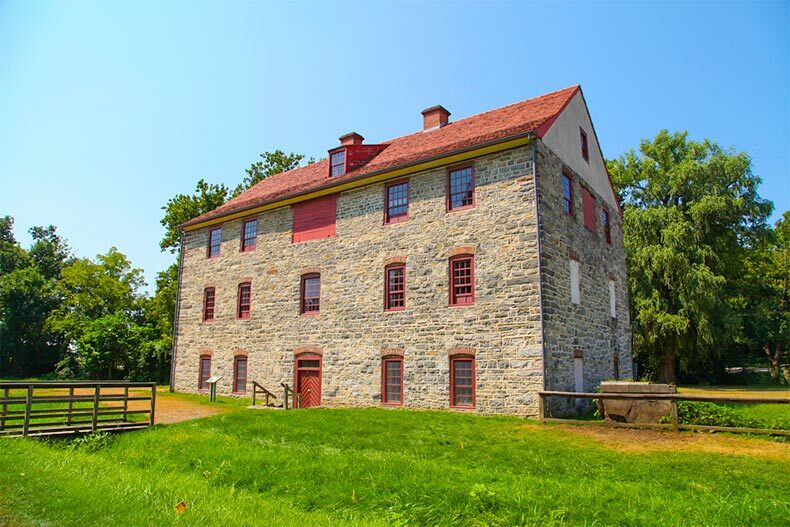 Whitehall Township dates back to the 1700s, and has 22 houses of worship, plus beautiful parks and trails. MacArthur Road is its main shopping area, and there are several close by grocery stores, retail shops, and malls. Briarwood Commons has a 2,800 square-foot clubhouse with several activity rooms, an exercise room, and a covered deck where homeowners gather for holiday parties and other get-togethers. The Fields at Indian Creek is a new, gated community being built just five miles south of Allentown, and will have 218 single family homes upon completion. Its prime location is close to major highways like the Pennsylvania Turnpike and Route 78. Nearby attractions include Valley Preferred Cycling Center and Lehigh Country Club. Homebuyers can choose from 11 spacious, single-story floor plans ranging from 1,493 to 2,332 square feet. They feature one to three bedrooms, two baths, and attached two-car garages. Upgrades include gourmet kitchens, and luxurious master baths, sunrooms, porches, and sitting rooms. Plans are underway for a modern clubhouse with a fitness center, outdoor pool and patio, plus pickleball and bocce ball courts.